Who Does the Amex Blue Cash Everyday Credit Card Appeal to Most? Decision Time: Is the Amex Blue Cash Everyday Right for You? It is important to have access to credit cards that will help you to earn rewards. There are many things that you are going to have to purchase every single month no matter what. If you can pay for these things with a credit card and receive rewards for doing so, then it certainly makes sense to sign up for one of these cards. Sometimes the rewards from a credit card will be able to help alleviate some of your expenses in a significant way. There are actually many excellent credit cards on the market that offer you cash-back options. If you are looking for a good everyday type of credit card to use, then you should take your time to find the right option. Getting the right card that will suit your specific spending habits is going to ensure that you have the best experience. 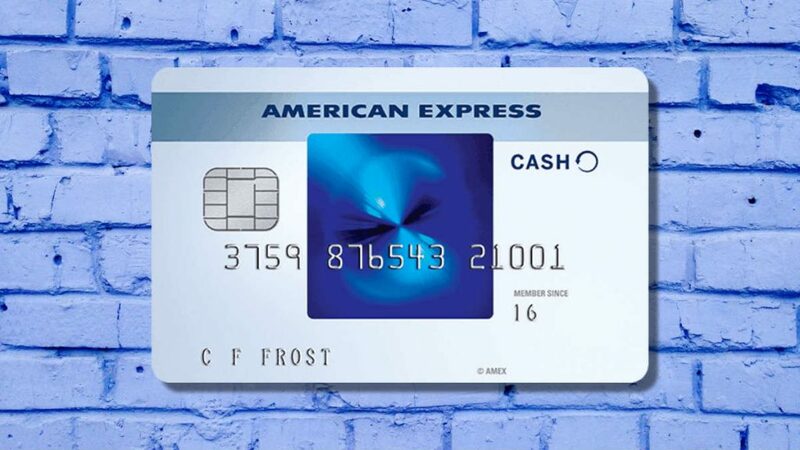 One very practical card that you can consider is the Blue Cash Everyday Card from American Express. We are going to be reviewing this credit card today in order to help you figure out if it is right for you. The Blue Cash Everyday Card has a lot to offer the average consumer but we will look at it from every possible angle. You can examine the rewards potential of the card, the fees, the benefits, and all other pertinent info. It will be very simple to see whether it is a good fit for your situation once you know all that there is to know. You’ll earn a $150 statement credit after you spend $1,000 in the first 3 months. 15 month intro APR offer. You’ll also earn 2% at US gas stations and select US department stores. 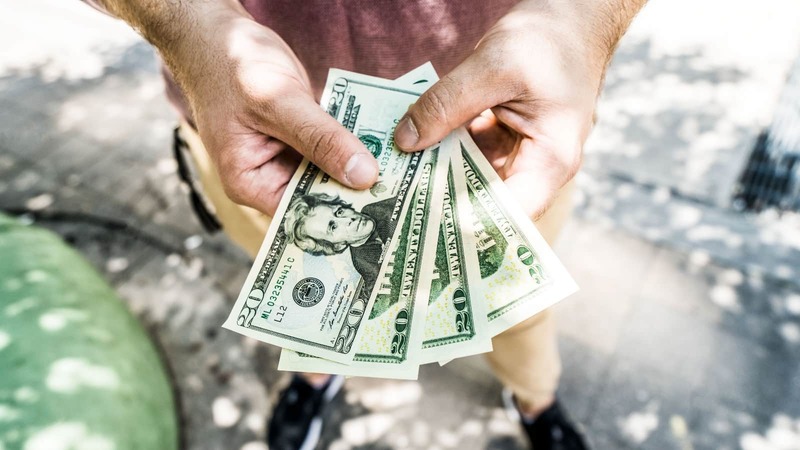 Cash back is earned in reward dollars that can be used for statement credits, gift cards and merchandise. This is a great no-fee card for grocery shopping. Earning 3X is one of the best without an annual fee. One of the best things to know about the Blue Cash Everyday Card from American Express is that it does not have an annual fee. If you are one of the millions of people who prefer credit cards with no annual fee, then this is a good one for you to consider. You will not have to worry about losing money due to an annual fee and it makes it easier to just use the credit card how you want to. It is a good card for anyone who wants to keep things simple and cost-effective. The credit card also comes with a nice introductory APR period that is good for both purchases and balance transfers. This allows you to avoid interest and makes it more practical to carry a balance if necessary. Some people may be able to take advantage of this in order to lessen their debts as well. It is not a card that is necessarily meant for that purpose but it will work during the introductory APR period. A potential negative of this credit card is the fact that it has foreign transaction fees. If you travel outside of the United States and use this credit card somewhere, then you can expect to pay a 2.7% fee. This is going to make it fairly impractical to use the credit card outside of the country. You may be better off going with a different cash-back card option if you want to be able to use it while abroad. All of the other fees that are associated with this credit card are fairly standard. It has a balance transfer fee of 3% with a $5 minimum. 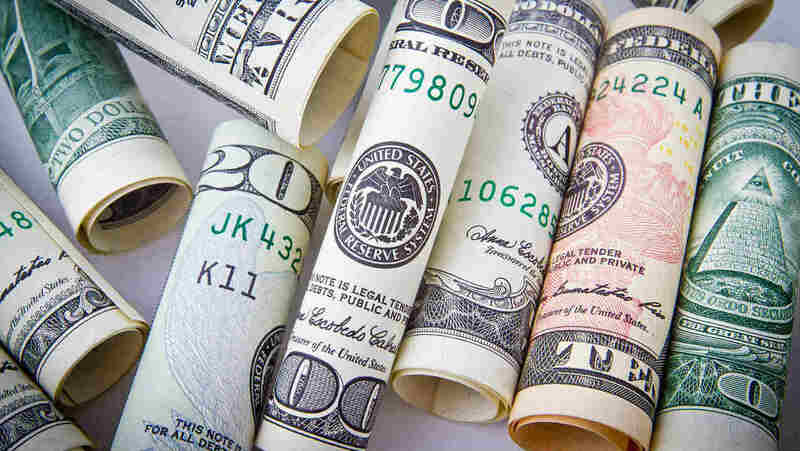 The cash advance fee is also set at 3% with a $5 minimum. Late payment and returned payment fees can be up to $38. One good benefit is that this credit card comes with an easy-to-obtain welcome bonus. If you spend enough money within your first three months of being a cardholder, then you will be able to earn a nice statement credit. This is a welcoming bonus that comes in handy and it will potentially allow you to profit very quickly. This is a good thing to shoot for when you sign up so look out for those welcoming bonus terms if you decide to sign up for this card. The card also comes with a few standard perks for you to enjoy. As you likely expect, there are not going to be any luxury perks associated with a card that has no annual fee. Even so, the perks that are present will likely impress you. You get many benefits just for being a cardholder and they are worthwhile to be aware of. You can expect to be able to use your credit card to give yourself secondary car rental insurance. This will come in handy for anyone who travels on business from time to time. It can help to mitigate some of your costs if something happens while on the road. The credit card also comes with travel assistance to help make your traveling experience much easier. Free roadside assistance is a part of this credit card package too. It can be good to have some peace of mind while you are out driving. Other normal perks include purchase protection, extended warranties, and car purchase discounts. When you look at all of the small perks together, then you see that this card offers a pretty good benefits package for a card with no annual fee. The rewards program of this credit card is going to be very helpful for anyone who makes normal purchases regularly enough. You will be able to earn 3% cash back on US supermarket purchases for the first $6000 spent in a calendar year. If you reach the spending limit, then you will only earn cash back at a 1% rate for the remainder of that year. This gives you the chance to earn a lot of cash by just buying groceries as you normally would. You can also earn 2% cash back on all of your purchases at US gas stations. It is possible to earn 2% cash back at select US department stores as well. This gives you plenty of options for earning cash back while using this credit card. All of these spending categories are very common for just about everyone so you can see that this card has broad appeal. The normal cash-back rate for all other purchases is only 1%. This is not the greatest flat rate for other purchases but it is still good to be able to earn rewards on anything that you purchase. The card is mostly useful for people who want to use it to hit those bonus categories, though. It can be a very good common credit card that you will be able to use to help reap some rewards every year. All of your rewards will be able to be easily redeemed for a statement credit. The only caveat is that you will only be able to redeem your cash back rewards once you have earned at least $25. There is a $25 minimum redemption that you have to keep in mind. It should not be too much of an annoyance but it is something that you should know about. The fact that this credit card does not have an annual fee is definitely one of the big selling points. You will not need to worry about trying to make up the money that you are spending on the annual fee or anything. Any rewards that you earn from using the card will simply allow you to profit. Anyone who prefers cards that do not have annual fees attached to them will automatically gravitate toward this card. You will also be able to enjoy a really nice welcoming bonus offer if you manage to qualify. As you likely expect, you will need to spend a certain amount of money within the first three months of being a cardholder. This will qualify you for a nice statement credit that can help to alleviate some of your expenses. It is pretty easy to obtain this welcoming bonus offer so it is something that you can likely look forward to. This credit card is very beneficial due to the fact that it helps you to earn rewards in common spending categories too. You can receive 3% cash back on your purchases at US supermarkets for your first $6000 per year. If you reach the $6000 threshold, then you will only earn 1% for the remainder of the calendar year. The card also offers 2% cash back at US gas stations and some US department stores, making it a very practical credit card to use. You will even be able to enjoy a nice introductory APR period. This credit card allows you to enjoy an introductory APR period on both purchases and balance transfers. If you need to use this card as a balance transfer card, then it may be practical to do so while the introductory APR period is active. It gives the credit card some added utility and may help to broaden its appeal just a little bit. It requires a somewhat high credit score. Cash-back rewards come with a $25 minimum redemption. It has foreign transaction fees. American Express may not be as prevalent as Visa or Mastercard. One of the biggest letdowns about this credit card is that it requires a pretty high score in order to qualify. This makes it an impractical card for anyone who only has fair credit or just slightly good credit. If you are rebuilding your credit and would like to have access to a good rewards card, then you are going to have to look elsewhere. It is not likely that you will be able to be approved for this card. It is also unfortunate that cash-back rewards come with a $25 minimum redemption. You cannot just redeem your cash-back rewards in any increments that you see fit. Some cards will allow you to do this but this one is not one of them. This really isn’t that big of a deal but some people will be a little disappointed by this restriction. You also need to look out for the foreign transaction fees of this credit card. You will have to pay a 2.7% foreign transaction fee whenever you use this credit card while abroad. This makes it very impractical to use this card outside of the country. If you travel to other countries frequently, then this credit card may not be the best choice for you. There is also the fact that American Express is not as prevalent as Visa or Mastercard in America. Some merchants will not accept American Express and this could give you some problems. American Express is a very reputable credit card company but it just is not as widely accepted as the more common Visa and Mastercard options. Knowing this before you sign up may help you to decide whether this card is going to work out for you or not. One of the problems with this credit card is that it requires a fairly high credit score just to qualify for it. It is recommended that you have a credit score of 690 or higher when applying for this card. The fact that it requires a high score despite not being a high-tier card may be off-putting for some people. Even so, it is a good card to have in your wallet. You just need to check your credit score ahead of time to ensure that you will qualify. This credit card is mostly going to appeal to people who need a solid everyday credit card. Buying things such as groceries and gas with this credit card will allow you to earn cash-back rewards. This is great and you are going to need to buy these things anyway so it is sensible to want to profit from it. If you spend at least a few hundred dollars on gas and groceries in a month, then this credit card is certainly going to be helpful for you. A card such as this is also appealing due to the fact that it does not come with any annual fees attached to it. You will not need to use the card enough to earn a certain amount of rewards just to make up for a high annual fee. This card can stay in your wallet and you can bust it out whenever it is convenient for you to do so. It’s a simple card that you can use to help you earn cash-back rewards when you want to. Depending on how much you spend on your groceries every month, you may be better off with a version of this card that does come with an annual fee. The Blue Cash Preferred Card from American Express will allow you to profit a bit more when you spend more than $300 on groceries in a month. It will allow you to more than makeup for the attached $95 annual fee too. See our full review of the Amex Blue Cash Preferred card. It just comes down to how much you spend on groceries in a given month. If you only spend around $200, then the Blue Cash Everyday Card is likely to be the better fit. Those who live alone may not spend as much money on groceries. You need to crunch some numbers for yourself to figure out which card is going to give you the maximum rewards potential. It may also be smart to think about using a card that offers you the potential for greater cash-back rewards in rotating categories. A card such as the Chase Freedom Card will give you access to 5% cash back in certain rotating bonus categories. It may be a bit more complex than the Blue Cash Everyday Card from American Express but it is undoubtedly going to be more lucrative if you use it properly. Just think about whether you want a simple experience or if you would like to pay more attention in order to be rewarded at an increased rate. Either way, you will be able to get a good credit card that will appeal to you. If you are looking for a very practical everyday credit card, then this one is likely going to please you. The Blue Cash Everyday Card from American Express allows you to earn cash-back rewards at a consistent rate. It is very easy to use this card for common purchases and you will not have trouble getting the most out of it. This is a card that should appeal to just about anyone due to its very common bonus categories. Aside from that, the card is also just really easy to use due to having no annual fee. You will not have to worry about using the card enough to make up for some high annual fee. There are even many little benefits and perks for being a cardholder. It makes it a very easy pick for your wallet when you’re in need of a good credit card that can be used for things that you have to buy every month. You will need a pretty good credit score to be able to gain access to this credit card, though. Even so, as long as you can get this credit card, it is going to prove to be worthwhile. It is not absolutely perfect but it is going to work fantastically for what many people need it for. Consider signing up for this credit card if you need a good gas and groceries card that will help you earn cash back.